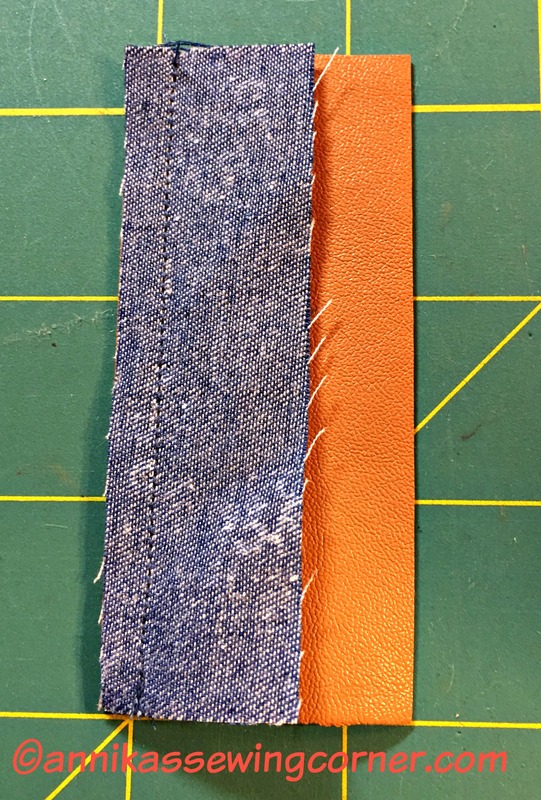 There is many blog posts out there on how to sew with pleather. One really good one is from Sew Sweetness. I was fine just using a walking foot though. Just remember not to put the iron on the pleather. I wanted to show you the straps I came up with when I was playing around with it. 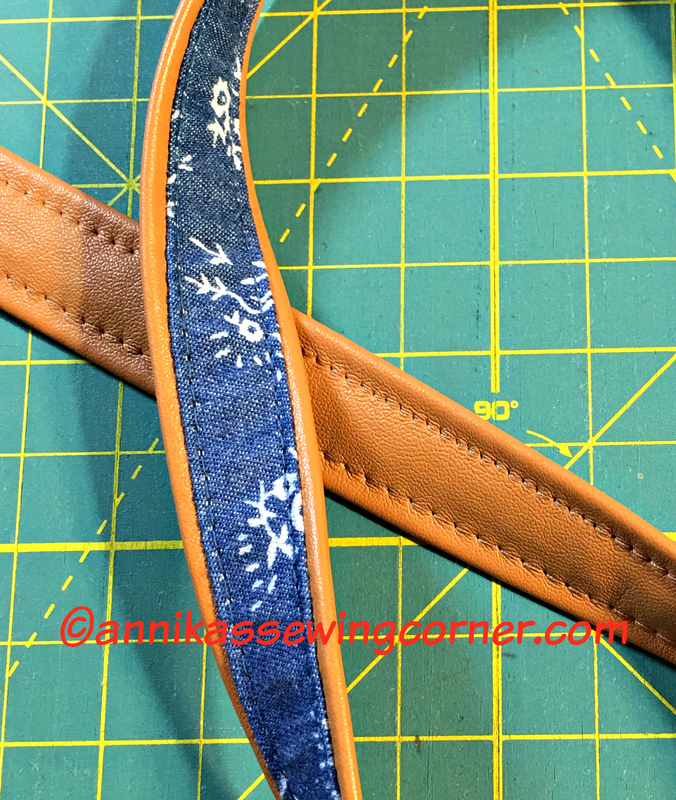 Cut the pleather 1/2″ wider than the fabric. 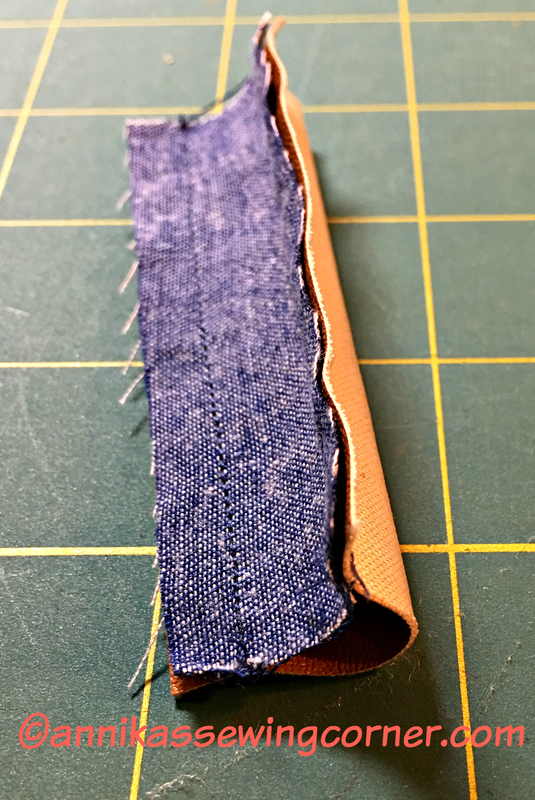 Sew the long ends right sides together with a 1/4″ seam allowance. The strap won’t lay flat of course, since they are different width. 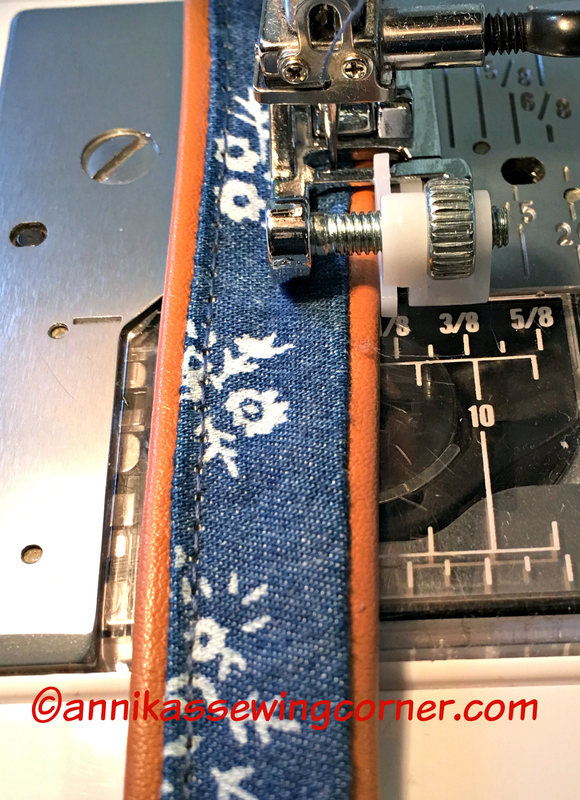 Turn to the right side and top stitch close to the fabric edge on both sides. I am very happy with how these straps turned out.